Because Disney Family recognizes that many of us are short on time and cash, they provided tips and advice on easy and inexpensive ways women can shine. To help us find our inner beauty & outer glow, Disney Family.com recently added new beauty-related content to their site in the Makeover Mom section, including how to build a better wardrobe, how to make the most of drugstore makeup, how to find the perfect little black dress, and more. They are also hosting a Mom’s Makeover Madness Sweepstakes for a chance to win a glamorous trip to LA for you and a girlfriend! To enter, please leave a comment telling me how you make the most of “me time” or let me know your biggest indulgence when it comes to pampering yourself. And remember… year round, you can visit Disney Family.com for parenting advice, travel ideas, recipes and more. 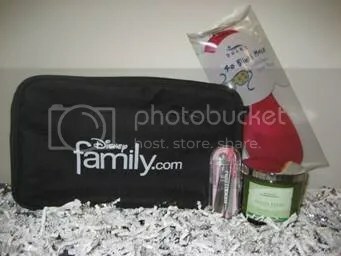 Giveaway prize provided by Disney Family.com. Contest ends March 19th, 2010 11:59 pm EST. US entries only. One person per household may enter. Leave a separate comment for each entry & a valid email address. Winner, chosen at random, has 3 days to claim their prize. Scroll down to the bottom of the page for a list of all my latest giveaways! My favorite way to pamper myself is to read a good book in my oh-so-soft pajamas and slippers while sipping on some cocoa. .-= Melissa Cleaver´s last blog ..Be a Follower! ~ JOIN THE FRIDAY FOLLOW =-. My “me time” usually comes at the expense of no sleep, or less sleep. It is the time after the kids are in bed, the dogs have been taken care of. As a single parent , late night is my only time to unwind. I try to watch a show I have taped, but more often then not, it is catch up time on my laptop. I already follow you on Twitter and I tweeted. I like to take bubble baths! If I get “me time” I sit with a diet coke and a book in my big comfy chair. Thank you for the giveaway. Me time is a nice warm bubble bath and later a book. .-= Janet F´s last blog ..Dr. Oz Spinach Raspberry Flaxseed Oil Shake =-. A little ofme time would be curling up on the bed and read a favorite magazine or book. If I am lucky I can take a nice hot bubble bath. My indulgence is getting massages every few months. Worth every penny! .-= Emily E.´s last blog ..kebhouse: Alright- new driver’s license acquired! And the picture isn’t half bad. Woot! =-. I like to curl up with a good book when I am lucky enough to have some me time! When I need some pampering, I love to get pedicures! I subscribe to your RSS feed in my reader. i sleep – is sleep an acceptable answer? sleep. My favorite Me Time is getting to relax and read my Kindle. I love lighting a candle or two, burning some incense, and taking a nice hot bath. My me time is a hot bubble bath and a glass of wine. My biggest indulgence is a mani/pedi about once a month. Me time is a hot shower and curl up in bed with the remote and a good cup of coffee. I make the most of my me time by reading a good book. I follow and tweeted. Thank you! I take a bubble bath and either do suduko or read the bible – its a wonderful 15-30 minutes I take daily! My best self-indulgent pampering is fancy scented lotions! Showers. LOOONNNNGGGG showers. And no one better bother me while I’m in there! I treat myself every night to a long hot soak in the tub while reading a good book. I follow on Twitter @eswright18 and tweeted. My biggest indulgence is new beauty products. Mine is Chocolate cake. Thanks for the chance. A long bath every night! My weekly indulgence is a bag of milk chocolate Dove. Pizza! Once a week, yum! I love to pamper myself by relaxing in my overstuffed chair with a glass of win and a good book. I tweeted your great giveaway! My me time is drinking beer and blasting the stereo. My indulgence is to go to the spa for a massage once a month. I lock myself in the bathroom and just soak in the tub. I dont get much me time so when I do its enjoyable. .-= Jammie´s last blog ..Here comes Spring =-. I love to put my feet up with my laptop and watch tv. It’s a great way to zone out. .-= Tiffany Pettey´s last blog ..Dove 4 men giveaway ends 3/18 =-. I love anime, so either watching or reading a manga book, is my me time. When I get the chance I hide in our sunroom to read. I pour myself a flavored coffee & enjoy the me time. If I get a chance, I grab a book and run to the back porch. My favorite “me” time is sitting on the front porch in the sun, listening to the wind chimes. .-= Erika´s last blog ..Mayfair Lane! =-. My me time is all about curling up with a good book…it’s not much but I love it. I make the most of my “me time” by taking a hot bubble bath without any distractions. Me time—is peace and quiet time–I love my quiet time!!! My indulgence is chocolate –I keep my secret stash—I need it everyday! I love turning off my cellphone and relaxing to my favorite music. My “me” time consists of a day away from work and responsibilites, so I can just veg on the couch and do nothing! Me time = hot bubble bath, glass of wine, good book. My biggest indulgence is getting a manicure & pedicure. Follow on Twitter & tweeted @ http://twitter.com/Naddez/status/10724256494. .-= Quanda´s last blog ..Get $10 off at Shoebuy.com | Private Events =-. My me time would be finding a huge park with hiking trails with the reward of a beautifull waterfall and just sit there for as long as I can. I like taking a long bath and relaxing in front of the TV and napping when I have some rare “me” time! Every evening, I take the time for a special chocolate treat. I enjoy reading a good book or watching a dvd on my ‘me’ time. A long, hot bath is my biggest indulgence. When I have some “me time”, I like to go get my nails done at the local salon! My me time- taking time (1) 1/2 once a month to go shopping! I love to take a nice long bubble bath by candle light. It’s so relaxing. indulgence I would say any kind of pastry rich and yummy is what I like. My biggest indulgence is soaking in a bubble filled tub while reading a good book. Thanks. I like to relax with a good book. .-= Chrysa´s last blog ..Free Gadget Grips for your Cell Phone, MP3 Player or iPod =-. I like to read a book or take a nice long bath. I like to pamper myself by giving myself a manicure and pedicure. Once a month or so, I purchase a higher $ item that I usually buy cheap….even if it is shampoo–I purchase something that is more expensive….makes me feel special!